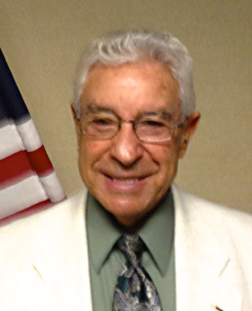 ﻿Raymond C. (Ben) Benfatti, Captain (Retired) entered the Service from New Jersey. He retired from the United States Marine Corps after 24 years and worked 20 more years in the Federal Protective Service. Ben joined the Marines out of respect for his brother Victor who was awarded the Silver Star Medal and was killed in action during the invasion of Guam during World War Two. For his actions on 17 February 1969, Ben Benfatti, then a First Lieutenant was awarded the Silver Star Medal for conspicuous gallantry and intrepidity in action while serving as Commanding Officer of Company L, 3rd Battalion, 9th Marines while serving in the Republic of Vietnam. On that date, Lieutenant Benfatti’ s Company was providing security for Fire Base Cunningham in Quang Tri Province when the position was attacked by two North Vietnamese Army (NVA) Companies. During the initial moments of the attack, Lieutenant Benfatti was severely wounded by an impacting hostile rocket propelled grenade. Ignoring his extremely painful injuries, he refused medical evacuation and shouting words of encouragement he directed fire against the enemy until the attacking sapper unit was ejected from the position. Ignoring the enemy rounds impacting around him, he quickly organized a reaction force and supervised his Marines in evacuating the U.S. Causalities and in replacing wounded Marines in defensive emplacements. As the large enemy unit continued to advance upon the perimeter, he fearlessly continued his determined efforts by repeatedly exposing himself to the intense hostile fire as he directed the efforts of his men in repulsing the enemy attack. When the NVA withdrew, he supervised the medical evacuation of causalities and he continued to refuse medical assistance until all other men had been cared for. His bold imitative and resolute determination inspired all who observed him and his actions were instrumental in causing thirty-seven North Vietnamese soldiers to be killed in action.